AED.us is committed to reducing the number of preventable Sudden Cardiac Arrest deaths by placing as many life-saving AEDs in our communities as possible. This is our Mission, Duty and Passion. We also understand that there are people and organizations that would like to have an AED in their home or facility that maybe cannot afford one at the present time. It is for this reason that we are giving away 52 AEDs (one per week, all year) to different causes. Every week, AED.us will select a winner, based on need, in different markets around the country. We will be donating AEDs from all our brands, including: Cardiac Science, Zoll, Physio-Control, Heartsine, Defibtech and Philips. Our hope is that these AEDs go to good homes and are placed in areas where they will stand ready to make a life-or-death difference, with responders, should the need arise. Over the years, we have seen donated AEDs save children and parents, coaches and teachers, and other members of our communities. Please register to win one of our donated AEDs by filling out the form below or registering for our monthly newsletter. Please include a story about why an AED.us AED should go to you. Are you ready to save a life today? Do you want to win an AED? 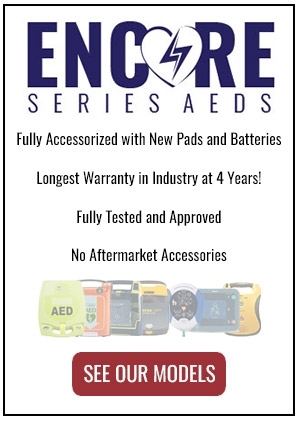 At AED.us, we’re committed to reducing the number of preventable Sudden Cardiac Arrest deaths by placing as many life-saving AEDs in our communities as possible. This is our mission, passion and duty. According to the American Heart Association, from 2013-2016, out-of-hospital cardiac arrest survival rates have risen steadily alongside increased use (and knowledge of) CPR by bystanders. This means knowing CPR and having an AED accessible is truly life-saving! That’s why we’re excited to partner with the American Heart Association and American Red Cross to teach CPR skills and donate AEDs to cherished public spaces every week for the rest of 2019. How? We’ll listen to you! Where would you like to see an AED placed in your community? We’d love to hear your story about a well-deserving public space you love where you’d like to see an AED ready to save a life--today! Fill the form out below to receive an AED donated for your prized public space below and thanks for participating! Each week, winners will be announced across our social media channels and the AED.us blog. 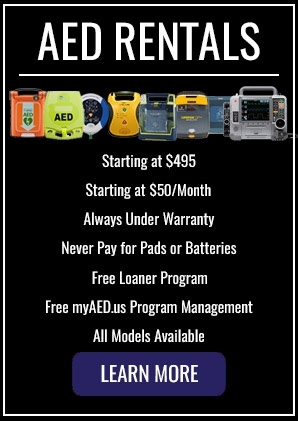 Win an AED today!